“Diversity” is a crucial word in workforce. In fact, there are many companies promoting diversity in their policies. Monroe Personnel Service, LLC & Temptime also accepts various people as our employees. Even in this small office, each person has quite different personality and we often influence each other in good ways for work. It’s probably easier to hire and manage employees who have the same kind of personality. Still, the reason that hiring various kinds of people is said important is that there are several benefits of having them in the workplace. Today, we’ll share the following article to maximize their potential. No two people are exactly the same. We all have our own traits, attitudes, and capabilities. You may be able to do one thing better than another person, but it doesn’t mean that you are absolutely better—we all have varying strengths and weaknesses. Everyone is unique in his own way. Given this fact, every business must understand this as they go about the process of hiring and retention of their staff. Working with people of diverse personalities and work habits may be a challenge. A manager must be able to maximize each one’s potential in a way that one person will compliment the other, thus allowing a team to work in harmony. You can never expect everyone in your team to be exactly the same, to work in the same pace, and exhibit identical behavior. Though, you can set your expectations high in terms of work quality, you need to understand that each employee may be better in one area than another and vice versa. Managers need to look at staff diversity in a positive way and embrace each one’s uniqueness to compliment the entire team. But this does not mean tolerating bad behavior. No. It only means accepting each one’s strengths, weaknesses, and skills and using it to everyone’s advantage. This is a very important consideration in staff hiring and retention rate. The helper type. These are staff who are always ready with a helping hand, they enjoy the feeling of being needed and appreciated for their service. Their personality tends to bring out the best in their co-workers. Managers must be generous with kind words of affirmation to keep this type of people in helping others and performing well at work. The creative type. They explore their deepest passions and pour it into their work. They may seem sensitive, but they just want to be understood for what and who they are. They can stimulate other people’s creativity in projects and activities. A manager must learn to maximize their creativity and accept them for their uniqueness. The quiet-observer-type. They are the quiet ones who would just sit in meetings, intensely listening and paying attention to details. They are self-motivating, are often really creative, and even brilliant with their craft. Managers must learn to see through their quiet behavior and appreciate the brilliance that lies beneath. They don’t need to be forced to speak-out in a big group, just allow them to quietly learn and perform at their best. As a consequence of their shy and quiet behavior, these types of employees may also harbor negative emotions, instead of speaking to their co-workers, or yourself, to straighten out a problem. Make sure you talk to them once in a while, and encourage them to speak up about difficulties and problems they may have. The aggressive type. They want to be the best, and thrive on leadership and challenges. They may seem to boss people around, so managers need to look out and keep them guided without killing their enthusiasm to get things done. They can also be confrontational and exhibit a strong personality. All these traits are gold in the hands of a good manager, but it may be destructive otherwise. During the process of hiring and retention, managers and business owners must learn to understand the personality of their employees and how they can complement each other. It’s probably one of the most overused phrases in job-hunting, but also one of the most underutilized by job-seekers: dress for success. In job-hunting, first impressions are critical. Remember, you are marketing a product — yourself — to a potential employer, and the first thing the employer sees when greeting you is your attire; thus, you must make every effort to have the proper dress for the type of job you are seeking. Will dressing properly get you the job? Of course not, but it will give you a competitive edge and a positive first impression. Should you be judged by what you wear? Perhaps not, but the reality is, of course, that you are judged. Throughout the entire job-seeking process employers use short-cuts — heuristics or rules of thumb — to save time. With cover letters, it’s the opening paragraph and a quick scan of your qualifications. With resumes, it is a quick scan of your accomplishments. 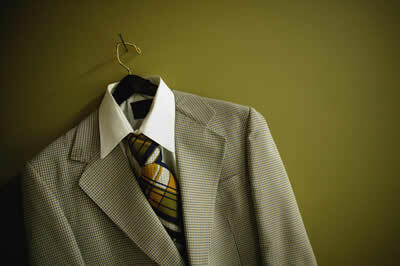 With the job interview, it’s how you’re dressed that sets the tone of the interview. How should you dress? Dressing conservatively is always the safest route, but you should also try and do a little investigating of your prospective employer so that what you wear to the interview makes you look as though you fit in with the organization. If you overdress (which is rare but can happen) or underdress (the more likely scenario), the potential employer may feel that you don’t care enough about the job. How do you find out what is the proper dress for a given job/company/industry? You can call the Human Resources office where you are interviewing and simply ask. Or, you could visit the company’s office to retrieve an application or other company information and observe the attire current employees are wearing — though make sure you are not there on a “casual day” and misinterpret the dress code. Finally, do you need to run out and spend a lot of money on clothes for interviewing? No, but you should make sure you have at least two professional sets of attire. You’ll need more than that, but depending on your current financial condition, two is enough to get started and you can buy more once you have the job or have more financial resources. Finally, check your attire in the rest room just before your interview for a final check of your appearance — to make sure your tie is straight, your hair is combed, etc. The complexity, competitiveness, rate of change, and communication overload of modern business life mean one thing: if you want to win, you’ve got to learn to manage stress. Saying it’s a crazy, complex world out there is putting it mildly. The rate of technological change is staggering. The constant bombardment of information and communication has us all on overload. And we’re constantly slugging it out in a brutally competitive global market. If it seems as if you’re locked in a downward spiral of trying to do more with less, it isn’t you. It’s for real. That surprising array of macro factors creates stress on all of our businesses and on all of us. We try to manage it as best we can, but at some point, things break. Systems break. People break. That’s the nature of stress. If you’re an entrepreneur, you’re well aware of the constant pressure to keep your burn rate down and stretch capital investments as far as they’ll go. And should the stars align and you gain customer traction, then you’ve got the not-insignificant challenges of high growth and scalability to deal with. Either way, there are times when you feel the weight of the world on your shoulders. And that means stress, big time. Having lived through several high-growth companies, a few successful and failed start-ups, and 20 years of executive management, I have plenty of great strategies for managing stress. 1. Work your tail off when you have to, not when you don’t. Business happens in spurts. Always. Whether you’re developing a product or growing a business, those long hours don’t go on forever. It’s OK to kill yourself for a few weeks or months, as long as you chill out for a while when it’s over. If you do it constantly, you’re asking for trouble. 2. Learn to give up–sort of. When you’re overstressed, overworked, and the ideas just won’t come, try giving up. Seriously, just call it quits, go home, go for a run, whatever. Once you relax, that’s when inspiration flows–usually when you’re lying in bed half asleep or in the shower. 3. Strategize and plan. Here’s a method for managing stress you’re not likely to see anywhere else. When things seem overwhelming, they’re often the result of day-to-day inertia. To thwart the evils of the status quo, take a step back and gain some perspective. Get some time away from distractions–just you or with your team–and brainstorm, strategize, and plan. Have a nice dinner out. You’ll be amazed at the results. 4. Mix business with pleasure. Whenever you’re going through high-stress times, take your team out for dinner. Have a few drinks. Take breaks and goof around. Yes, it probably takes longer to get things done that way, but I would argue that higher morale increases effectiveness. 5. Don’t leave things for the last minute. Yes, I know you can’t always control this, but if you can–and you can more often than you think–give yourself a buffer. You’d be amazed how much more relaxed you’ll be if you plan to finish your pitch a day early or get to the airport a couple of hours before the flight. 6. Don’t take it out on others. Leaders and managers, listen up. Maybe you can function at a high level, but if you’re simultaneously demotivating your team, then what’s the point? And if you take it out on family and friends, you’re just going to end up lonely and depressed. If you can’t handle the stress, find an outlet that doesn’t include taking it out on other living things. 7. Lots of outlets work–pick one or two. Caffeine can boost your mood and performance during the day. Wine can bring you down and help you sleep at night. But you can’t keep that sort of cycle up for too long. Learn to exercise, meditate, get outdoors, build things, play Scrabble, talk to someone–whatever works, do it. Look, if you want to be a workaholic, that’s fine, be my guest. But at least learn how to be a high-functioning one, meaning don’t just run yourself and your team into the ground. If you’re practical, you’ll be effective. Above all, learn to recognize the signs of burnout in yourself and your people. Downward spirals are hard to break out of. And, if you’re a leader, you’ll take everyone, and maybe the entire company, down with you. The winter holidays can be a lot of fun. But this season is certainly a lot of stress for many people – especially financial stress. 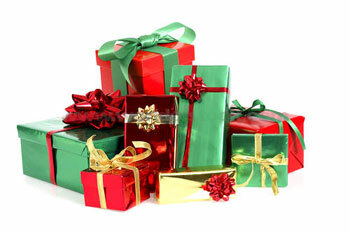 Below are 6 holiday money saving tips to help you stay financially sane this holiday season! It’s fun to go to parties, but the constant pressure that many of us feel to give gifts, and attend events and social obligations, and to give money to organizations we love – happens all at once! It’s confusing at best and often leads to exhaustion, burn out, and over-spending. So how do you get it all done and keep it all together without blowing your budget? 1. Make a list and check it twice! As cheesy as it might sound, having a list of people to buy for and a calendar of “must do” events can help you create the clarity you need to make sure the important things get done. Any time you get overwhelmed you can come back to that “must do = must buy” list and ask yourself, “Is this on the list?” That moment of coming back to center can help you make the right decisions for you. Sometimes the right answer is saying “yes!” to that last minute event, and sometimes the right thing is to say “no” even if it’s hard. 2. Schedule your down time. Making sure that you eat – every day – is critical. So is spending time at home doing your dishes, making the bed, and having time to yourself. Put it on the calendar. That way you know that you have time to do the critical self-care things. That way when you go back out into the fray, you feel grounded and refreshed! 3. Make a budget – and stick to it. Knowing your numbers and tracking your money is something I always recommend. And it can really help you stay sane during the holidays by giving you the confidence and clarity you need to make the right decisions for you. Make sure you include everything, from the trip to visit family to the present for your mail carrier. And make sure that if the numbers change that you add that last minute dinner with the friend from out of town, so you stay on track! 4. Prioritize. I know this might sound like blasphemy to some, but consider not doing it all. Consider seeing some people in January, or June so that everyone feels loved and no one feels burdened. I stopped making the trek home for Thanksgiving and Christmas because it was just too much. Instead we make a trip over the summer. It’s a lot more fun to see people when I’m not worried about money or having to slip in a work phone call between conversations with my dad and hugging my niece! 5. Put yourself first! It is your life. You are generous and you want to do the right thing. What is the right thing? I find that the right thing for my family is to have a mom who is not insanely trying to do everything and comes home grumpy and stressed out. I find that the right thing is to teach my son self-care and my values by actually living them. Two of those values are to be healthy and loving to myself and others. I can’t be loving if I’m at my wit’s end and haven’t eaten all day! 6. Breathe! Every time you have a feeling that you’re overwhelmed, take a deep breath. Then take another one. We often don’t get enough oxygen when we’re stressed which enhances the stress hormones in our brains. However, when we are under less stress we make better decisions. So help yourself make better decisions by taking some deep breaths! Do some office yoga to feel re-energized and renewed! Get focused at work by taking a moment to do some Office Yoga! Here are some discreet yoga exercises you can do at your desk.a! This three-part breath starts by softening the diaphragm, breathing deeply while sending the breath down to the belly, then out to the rib cage and up to the collarbone. The exhale releases from the top, middle to bottom. Deep Belly Breathing will expand your lung capacity and improve your cardiovascular exchange, as well as revitalize your cells and systems. Sit tall in the middle of the chair with your feet grounded. Exhale, take your right hand to your left knee and twist gently to the left. Your left hand goes behind you to the back leg or edge of the chair. Use the hand to the knee to deepen the twist. The hand on the chair supports the spine and helps lift the heart center and crown of the head. Look into the right corners of your eyes as you twist. Inhale back to center, repeat other side. Sit tall in the middle of the seat with your feet wide. Right hand reaches down to the right side of the chair to keep the left hip from lifting. Inhale the left arm out to the side, up and over. Stretch out from hip with the arm overhead by the ear; the palm faces down. Feel the stretch from the waist to the fingertips. Monroe Personnel Service, LLC & Temptime, like many other HR companies or departments, receives a lot of resumes every day and reviews them before setting up an interview. So it’s obviously important for candidates to make their resumes clear and show their careers in the best way possible; we shared the article in May: Make Your Resume Stand Out. However, evaluating a person solely by his or her resume doesn’t necessarily work well for employer. Some candidates, whose resumes seem like a perfect fit for the job description, could be a bad fit for the company, and vice versa. It’s easy to assume they are ideal employees judging only with their resumes, so employers need to pay attention to gain subtle insights in interviews as well. Today’s article addresses this common hiring mistake. Hiring someone because they have an impressive resume is like buying a car because you love the brochure. If you fail to look under the hood, buyer beware. Your new hire may end up like the Fisker Karma: the coveted hybrid sports car looked like a million bucks, but was so ridden with glitches that the manufacturer had to halt production and start looking for bankruptcy protection. You need to avoid lemons when you’re hiring too. That means treating the resume like an advertisement – good for basic information but not the whole story. A candidate’s education, skillset and experience will be the first things to catch your eye. And, of course, it does matter who the person has worked for, which technologies she knows, and how many people she’s managed. But what you’re really looking for in a great hire are the qualities you can’t list on a resume – I call these brains and heart. They’re at the root of a person’s ability to confront unexpected challenges, to demonstrate wisdom and judgment, and to develop into an invaluable part of your team. Brains are more than a person’s raw mental horsepower. This kind of intelligence means having a flexible mindset that combines book smarts and street smarts. The blend enables a person to navigate unfamiliar situations, and to make sense of many conflicting signals. (See Carol Dweck’s book, Mindset for a description of a “growth mindset”). Can this person tell a good risk from a bad one? Can he absorb knowledge fast, and apply it in real time? Does he have the social intelligence to work well with people around him? Heart is my shorthand for the entire constellation of a candidate’s values. It’s the system of ethics and beliefs from which all her choices and actions arise. Does she dive into whatever she’s working on? Can she deal with tough setbacks? Take responsibility and share credit? Can she make things happen at critical moments, even if she’s tired? When you find a top-quality hire, you’ll see that the answer to these questions is inevitably yes. Still, when deadlines loom, there’s a temptation to snap up a skilled person who can help get your current product out the door. Just be wary about striking a Faustian bargain: you may be trading that short-term fix for a long-term disappointment. Conducting a thorough and insight-capturing interview is one of the best ways to get a deeper sense of a person’s character and mindset. “Diversity” is a crucial word in the workforce. Diversity doesn’t just mean racial, ethnic or cultural differences. There are also different personalities. Monroe Personnel Service, LLC & Temptime hires a wide variety of people. Even in this small office, we have a big variation of personalities and we often influence each other in ways which improves our quality of work and efficiency. Those who are fast, scattered, prone to mistakes and get a lot done find common ground with those who are slow, methodical and are less productive. We can influence one another because we know our own tendencies and we appreciate how others can pull and push us to be our best. A variety of work styles can make for a more dynamic and stabilized work flow, improving everyone’s experience including employees and clients. It maybe easier to hire and manage employees who have similar personalities but managing diverging personalities can be a very satisfying experience and produce a very rich and effective office culture. How do you manage the personalities in your office? We would like to offer the following article to maximize the potential of your office personalities.